Join us on a journey to connect deeply with the Full Moon to bring the powerful energy of the Goddess Ishtar, also known as the ‘Bringer of Light’. 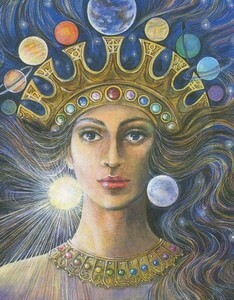 Ishtar is an ancient Babylonian Goddess connected with the divine feminine within all of us, whether we are male or female. We all have the power to create in our life; this powerful Goddess will assist us with our sexuality and fertility, and help us to manifest our deepest desires.